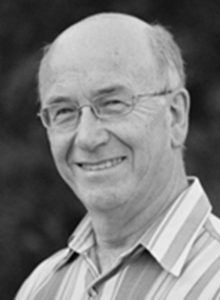 John has been involved with amateur theatre for over 50 years as an actor, director, set designer and committee member with a number of companies in Adelaide and country SA. He was a foundation member of The Stirling Players in 1972, and is a former President, Vice-President and Committee member. This is his twenty-first production as director and/or actor for The Stirling Players. He acted in and directed a number of productions in the 1970’s and 1990’s, including A Streetcar Named Desire, All My Sons, The Shifting Heart, Chase Me Comrade and Away, before returning to direct Daylight Saving in 2007, It’s My Party (And I’ll Die If I Want To) in 2008, which won the Adelaide Theatre Guide’s Curtain Call Award for Best Show, Comedy (Amateur) and Hotel Sorrento in 2009. More recently he has directed the University of Adelaide Theatre Guild's production of Arthur Miller’s A View from the Bridge which won the 2011 Curtain Call Award for Best Drama - Amateur and Best Male Performance; Andrew Bovell’s Holy Day and The Peach Season, also for the Theatre Guild; and Butterflies Are Free for St Jude’s and Don’t Dress for Dinner for Galleon Theatre Club, both of which were nominated for the Curtain Call Award for Best Comedy - Amateur.